Why would I need self storage in Edmonds, WA? There are a variety of reasons why you might need self-storage in Edmonds, WA. How much is a storage unit in Edmonds, WA? The cheapest storage unit in Edmonds, WA is $39.00 per month. What size storage units do you have available in Edmonds, WA? In Edmonds, WA we have sizes that range from 5'x5' to 20'x30' to suit your storage needs. How much is it for a 5'x5' storage unit in Edmonds, WA? The cheapest 5'x5' storage unit in Edmonds, WA is $61.00 per month. Edmonds is a midsize city in eastern Washington, about 15 miles north of Seattle. It's known for its scenic surroundings, facing the Olympic Mountains and Puget Sound to the west. It has become a popular home for people who commute to Seattle for work, especially because it provides a variety of public transportation options that make the trip easy and fairly quick. The land where Edmonds now stands was first settled by the native Suquamish people. It wasn't until the 1860s that European-American settlers came to the area. However, between the surrounding water and hills, the Edmonds area was extremely isolated, causing many problems for early settlers. Despite these challenges, by 1884, the town had a number of amenities, such as an organized school system and a post office. In 1890, Edmonds was incorporated, and the next year the railroad began traveling through the town, which helped fuel its growth. Edmonds is only about 15 minutes from Seattle, giving you the option of heading into the city for entertainment, shopping or work. Whether you're interested in outdoor activities and sports or drawn to cultural and dining experiences, Edmonds has plenty to offer. It's a major hub for arts and culture in Snohomish County, featuring more than a dozen art galleries and other cultural institutions. The Edmonds Center for the Arts serves as a large venue for a variety of arts performances, including theater and music. Since the late 1950s, the city has also hosted the Edmonds Arts Festival, which spans three full days. You'll also find a number of parks throughout the city, including a salt marsh, a dog park and a skate park. The Edmonds Underwater Park is a popular scuba diving site, offering the opportunity to explore several shipwrecks, see ocean life and even spot whales. The Edmonds School District serves the schools in Edmonds as well as many in surrounding communities. One of the local public high schools offers an international baccalaureate program, and is one of the few schools in the state to do so. Utilities: Edmonds' major utilities providers are Snohomish County PUD, Puget Sound Energy and the Edmonds Water Utility System. Garbage and Recycling: The city receives trash and recycling collection services from three different private companies. You also have the option of paying for yard waste collection. 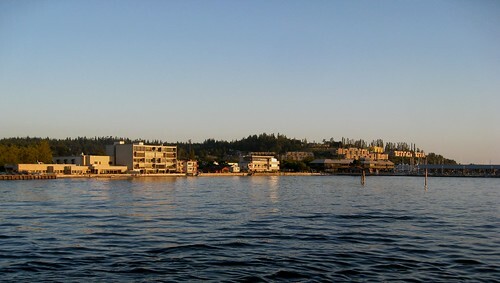 Transportation: There are several public transportation options in Edmonds, most of which meet up in the downtown area. You can choose from ferry, bus and commuter routes, all of which make it easy to get around the city as well as its neighboring communities. As Edmonds grows, its home prices are rising steadily. Although the median home price is considerably higher than the national average, it's on par with that of most other suburbs of Seattle. Apartments, town houses, cozy family homes and sprawling mansions can all be found throughout the city, so it should be fairly easy to find something that fits your needs. Our lowest priced units in Edmonds, WA average $48.00 per month. 173 people have reserved units in Edmonds, WA in the past 30 days. There are 4 locations within Edmonds, WA's city limits.